The cleaner the bitrate audio transfer, the better the audio quality. It's that simple! 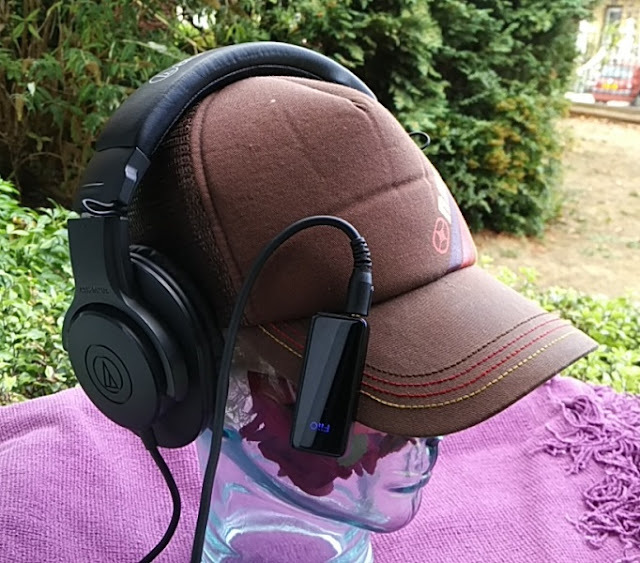 If you are serious about headphone wireless sound the last thing you want is music files losing audio quality because of transcoding taking place between different audio codecs. The key to preventing transcoding is for both the bluetooth transmitter device (i.e. phone) and bluetooth receiver device (i.e. 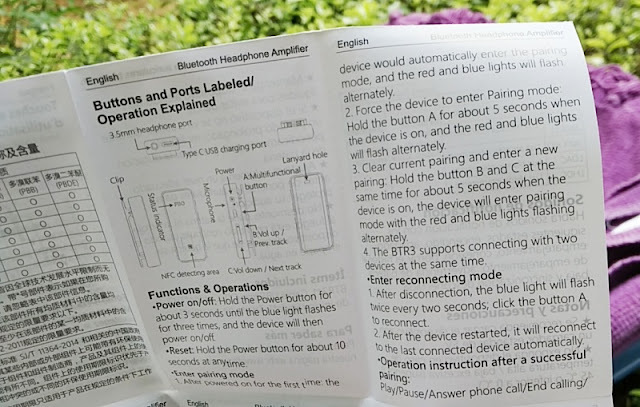 bluetooth headphones) to be compatible with the same bluetooth codecs; otherwise wireless sound defaults to the SBC bluetooth codec. If you don't fancy using a dedicated high-res digital audio player, adding a headphone DAC amplifier to your setup is a great way to enhance the audio quality. With a solution like the FiiO BTR1K and the FiiO BTR3 you can enhance wireless audio without being tethered to your smartphone! 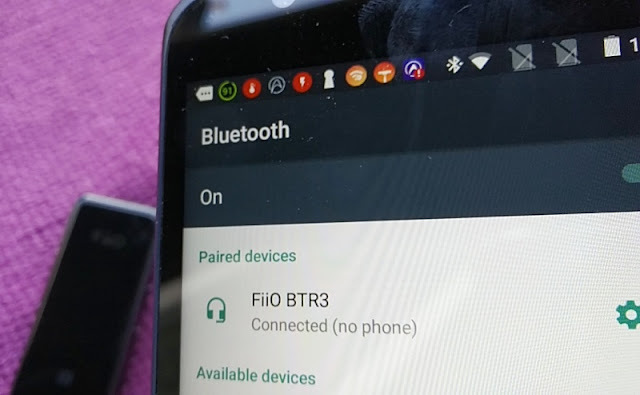 And, it isn't just bluetooth 4.2 A2DP you get with the FiiO BTR3. You also get support for AAC, SBC, aptX, aptX LL, aptX-HD, LDAC and LHDC so no compromise in processing performance; hence clean bitrate transfer. 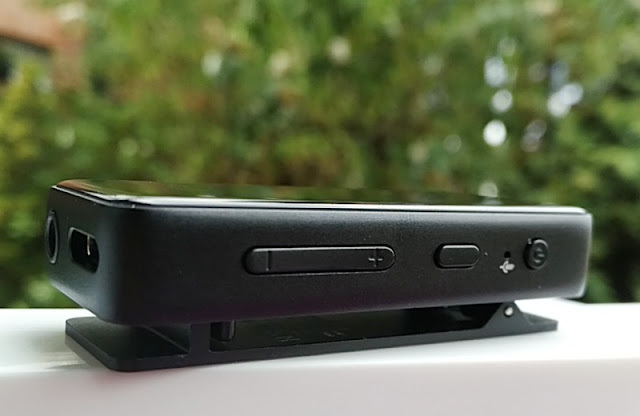 Along with functionality, FiiO BTR3 is aesthetically pleasing with smooth curved edges, matte black finish and glass panel on the front of the unit which integrates a "FiiO RGB light" which indicates color-coded statuses. 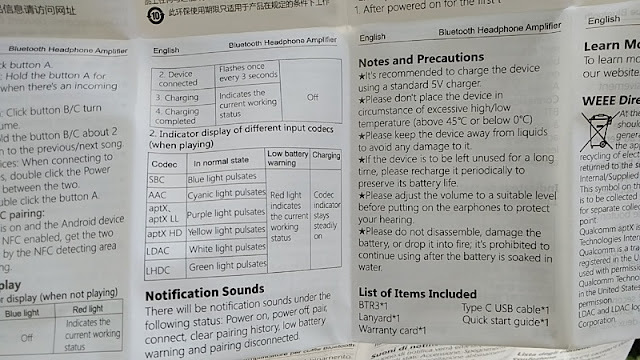 The indicator can light up blue (SBC), cyan (AAC), purple (aptX and aptX-LL), red (charging), yellow (aptX-HD), white (LDAC) or green (LHDC) to indicate the input Bluetooth audio codec and charging status. Talking about charging, it takes 1.5 hours to fully charge the BTR3 300mAh battery capacity via DC 5V 500mA input and you get between 10 and 11 hours of playback time. The FiiO BTR3 battery can last close to half a day so battery life is pretty good. 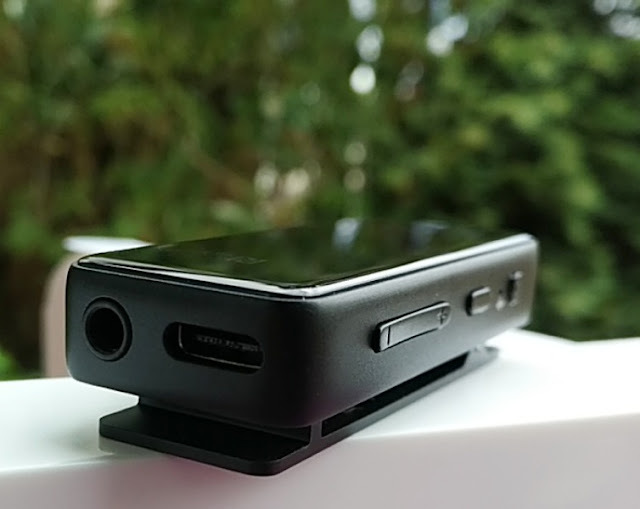 You can also use the BTR3 DAC amplifier while charging. The FiiO BTR3 can be driven between 16 ohms and 100 ohms and it is also capable of driving 25 mW into a 32-ohm load and 33 mW into a 16-ohm load. 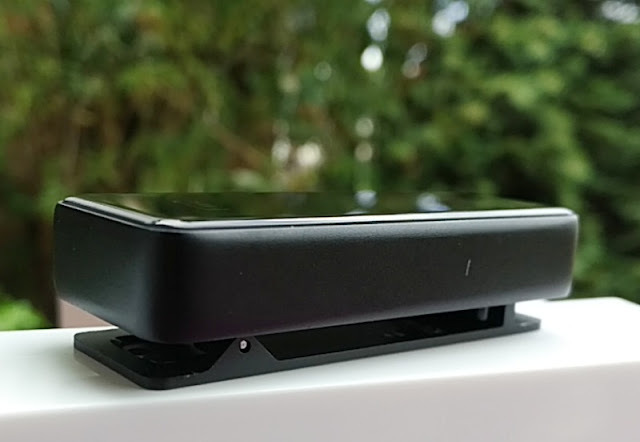 The FiiO BTR3 delivers the same frequency response low end bass of 20Hz via aptX and LDAC connection but treble is much higher via LDAC connection at 40kHz (only 20kHz via aptX). The Fiio BTR3 bluetooth headphone amplifier also features output impedance which is a neat safety feature to protect it against damage from short circuits. The output impedance is set to 32 ohms, which is much lower than the input impedance. 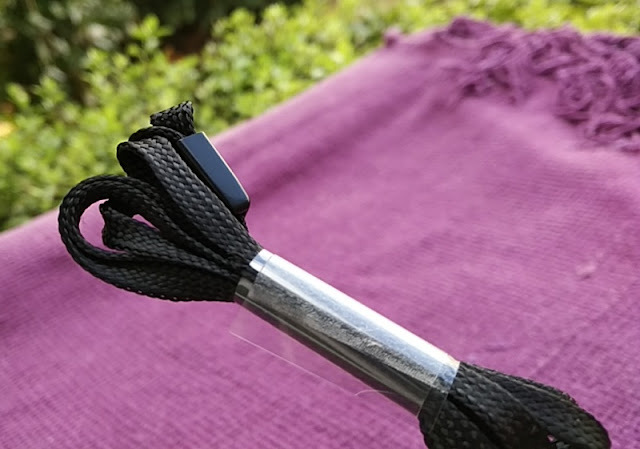 It is actually a good thing to have low output impedance as opposed to high output impedance which can create filtering effects and reduce power output. The signal to noise ratio is 120dB with a crosstalk noise equal and greater than 75dB. This means, the FiiO BTR3 is capable of reproducing at 45dB (120dB peak minus 75dB crosstalk noise). The FiiO BTR3 measures 58mm long, 25mm wide and 10.4mm thick (without the back clip) and weighs just 26 grams. 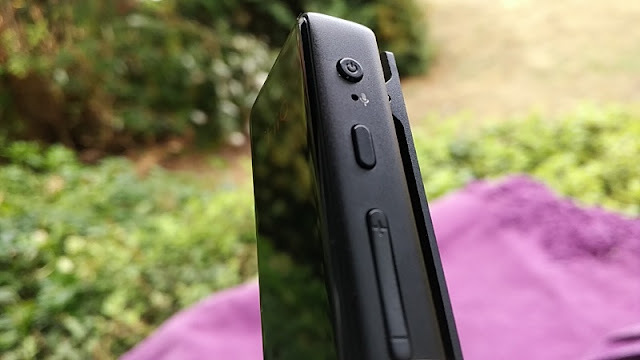 While the back clip on the back of the FiiO BTR3 increases the footprint a little bit, the back clip is a useful addition for clipping the FiiO BTR3 on to you while on the go. 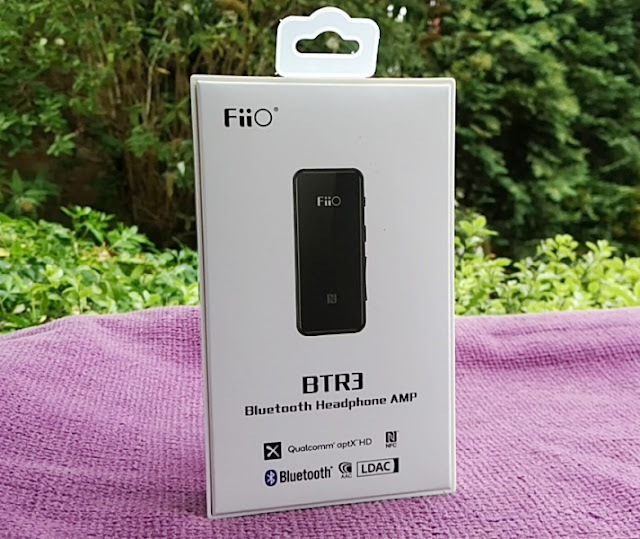 The FiiO BTR3 is a well thought out bluetooth dac amplifier as it also integrates a built-in microphone so you can use a pair of headphones without built-in mic. With that said, FiiO BTR3 built-in mic cannot act as a passthrough so you cannot use the built-in mic in your headphones. 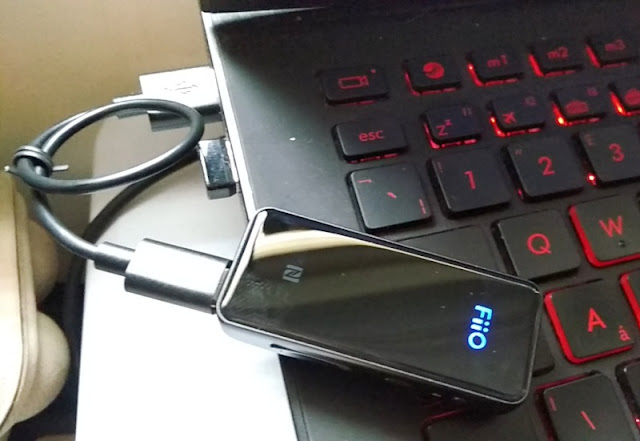 As well as being able to be connected to a USB port of a computer, the FiiO BTR3 lets you turn your phone into a high quality audio transport system via the FiiO Music app, which is available for Android and iOS operating systems. 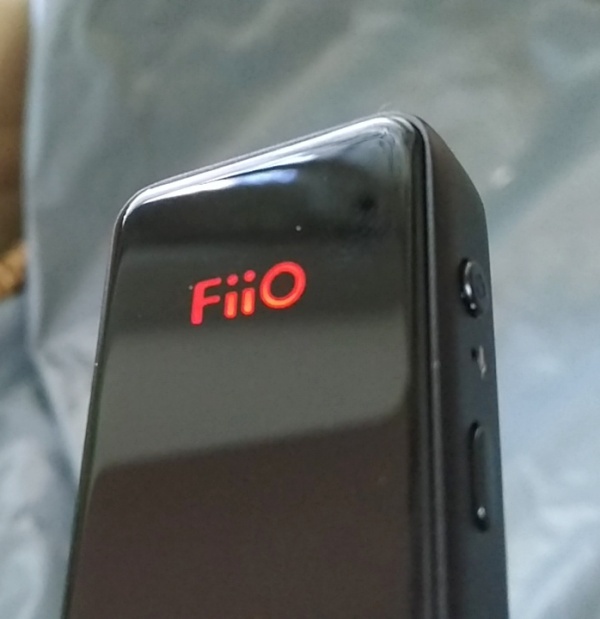 The Android version of the FiiO Music app is still in beta stage so you cannot download it from Google Play Store yet. With that said, you can download the FiiO Music Android App public beta version v0.0.8 from the FiiO website but it's an apk so you have to side load it onto your Android phone. As of this month, FiiO BTR3 has not yet been added to the app so hopefully FiiO will add the BTR3 option next month. 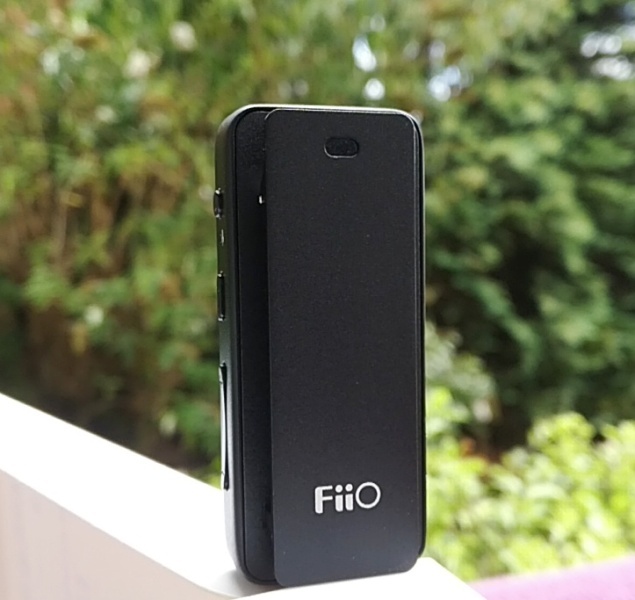 The main feature of the FiiO Music app is the wide range support of audio formats including DSD, WAV, FLAC, APE, AIF, ALAC, MP3, OGG, WMA and all three transmission rates of LDAC including 330kbps, 660kbps and 990kbps which allows 96kHz/24-bit (4.5Mbps) stereo audio to go in at one end and 96kHz/24-bit (4.5Mbps) stereo audio to come out the other end. LDAC audio codec offers by far the best wireless sound for high-resolution audio (or lossless audio) , coming close to matching the capability of Tidal Masters streaming service. LDAC delivers basically three times the bandwidth of A2DP (200kbps), AAC (250kbps), aptX (352kbps) and SBC (328kbps) and nearly double that of aptX HD (576kbps). 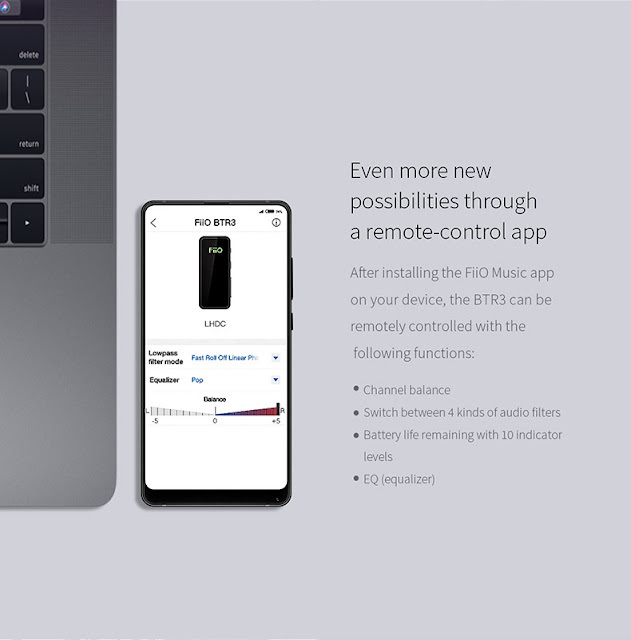 Another nifty feature that FiiO will be implementing in the FiiO Music app is the capability to control remotely the FiiO BTR3 bluetooth headphone amplifier so you can adjust remotely the left and right audio channels and choose between four different audio filters. An equalizer and battery meter will also be integrated in the FiiO Music app, which is pretty neat. FiiO has also reported that they will release a new firmware for the BTR3 later on. 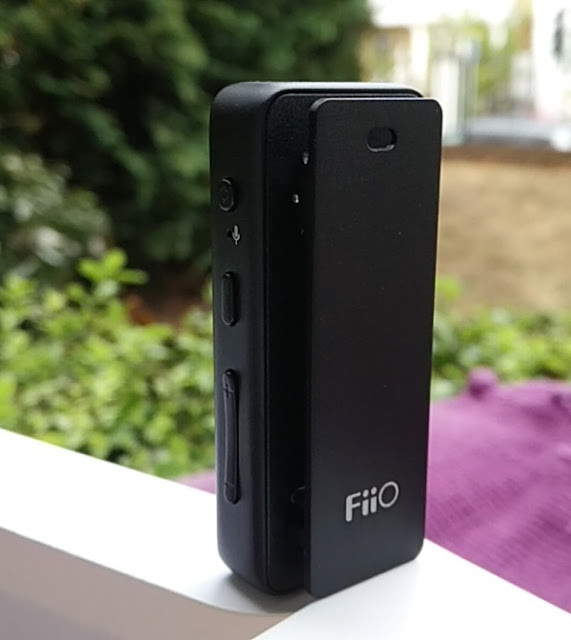 The FiiO Music app also supports DLNA connection, DoP output to external DAC and CUE sheet, as well as Spotify-like features such as resume playing, gapless playback (uninterrupted playback of consecutive audio tracks) and playing all songs by artist, albums, genre, etc. The FiiO Music app also supports skipping through folders. 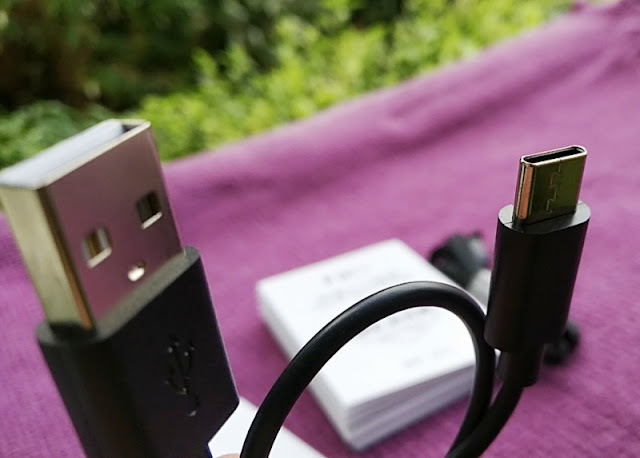 All iPhones and most Android phones such as the Galaxy S5 and Vivo Xplay6 support USB OTG out of the box. 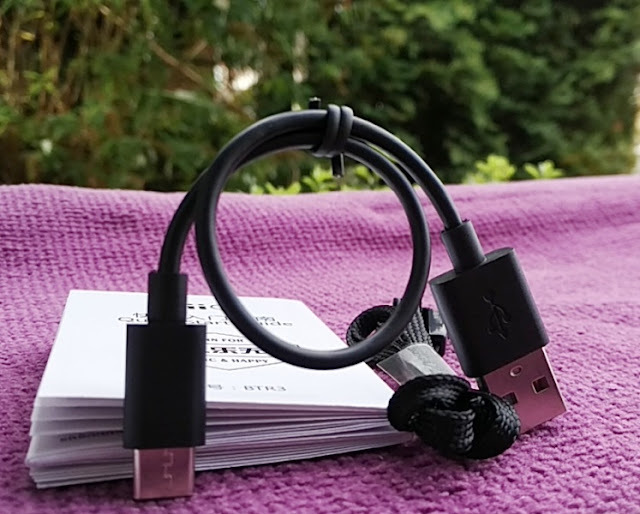 If you are unsure whether your Android phone supports OTG, there is an easy way to check whether your Android phone is OTG enabled by connecting a USB peripheral such as a keyboard, gamepad controller or a USB flash drive. If the USB peripherals work, your phone is OTG enabled.